Currently, we have the following bikes in build and generally 'in the pipeline'. 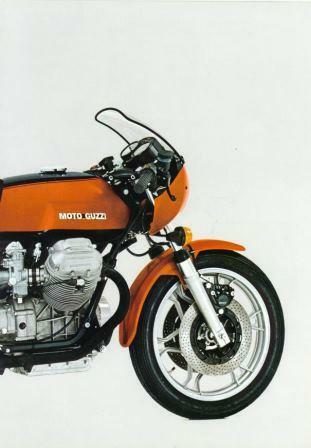 We regularly sell a bike BEFORE completion, a small deposit will normally secure any Guzzi in preparation. Due in, lovely grey and white standard 1100 California. 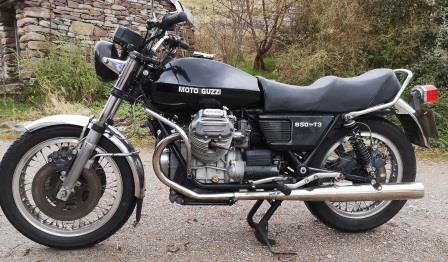 Spoke wheels, O/E Guzzi panniers, top box and screen. 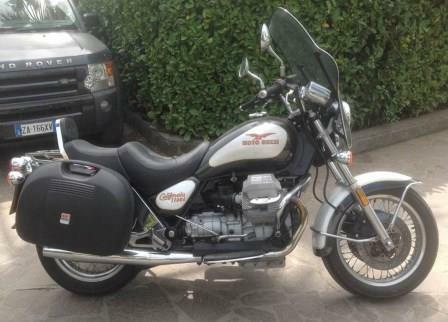 UK bike, with just 17,000 genuine miles, this Cali runs and rides fantastically. Lovely California, great colour and ready to enjoy. Please contact us on this. Just in, one owner from new, genuine very low mileage of 9000 miles. 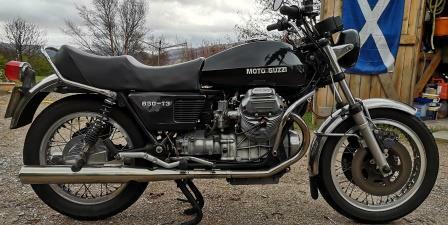 This black and chrome 1100 California has spoke wheels, O/E Guzzi panniers, top box and screen. Low mileage, one owner form new, this California will soon be ready for summer ! Due into us a very original, black T3. 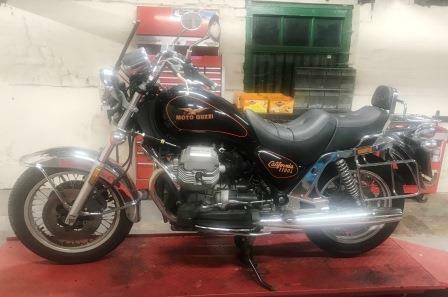 UK bike, from a long term owner. Matching numbers bike. Lovely, unrestored example. Genuine, early spoke wheel T3's continue to grow in value and popularity. Copyright © 2019 Muzzi Moto Limited. All rights reserved.